Image Comics is pleased to announce that the first issue of UNDERTOW by Steve Orlando and Artyom Trakhanov will feature a variant cover by Simon Roy (PROPHET) that will make the new pulp series a must-have for readers’ pull lists. The second issue of the series will also feature a variant cover with art by Aaron Conley. Dive into the world of UNDERTOW, where Atlantis is a world superpower. Atlanteans Anshargal and his hostage-protege Ukinnu Alal hunt the Amphibian, a legendary creature that may be the key to an air-breathing life on land. In UNDERTOW #1, writer Orlando (MYSTERY IN SPACE) and artist Trakhanov bring pulp monster adventure to comics and debut a new take on Atlantis. 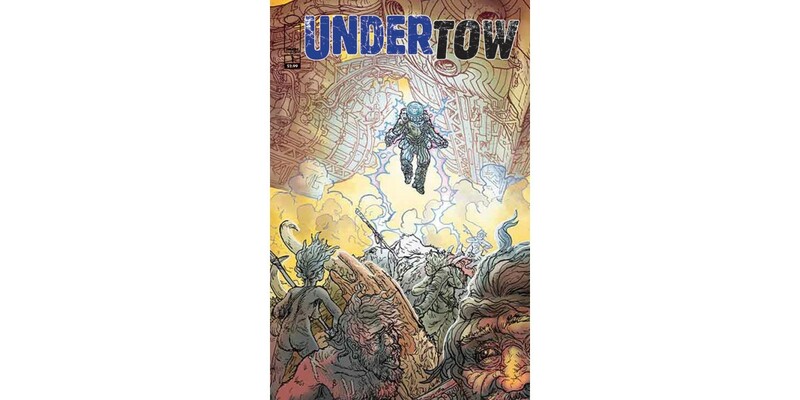 For more info on what UNDERTOW is and where the idea came from, check out this interview with Steve Orlando on the official Image Comics website. Join Anshargal on his aquatic adventure in UNDERTOW #1, which will be available in stores on 2/19 for $2.99. Pre-orders can be placed using Diamond Code DEC130486, variant Cover B can be pre-ordered with Diamond Code OCT138321. UNDERTOW #2 will be available on 3/19 for $2.99 and can be pre-ordered with Diamond Code JAN140621. The variant cover for the second issue will feature art by Aaron Conley and can be pre-ordered with Diamond Code DEC138395.